Make a Christmas Felt Elf using this simple FREE TUTORIAL that I contributed to the FLEECE FUN BLOG. You can find all the step by step instructions over HERE. Are you like me and find that this time of year is just so inspiring and exciting? I am so in love with Christmas, and have been since I was a little girl. And now I’m a big girl, I’m having oodles of fun decorating and making, designing and creating. 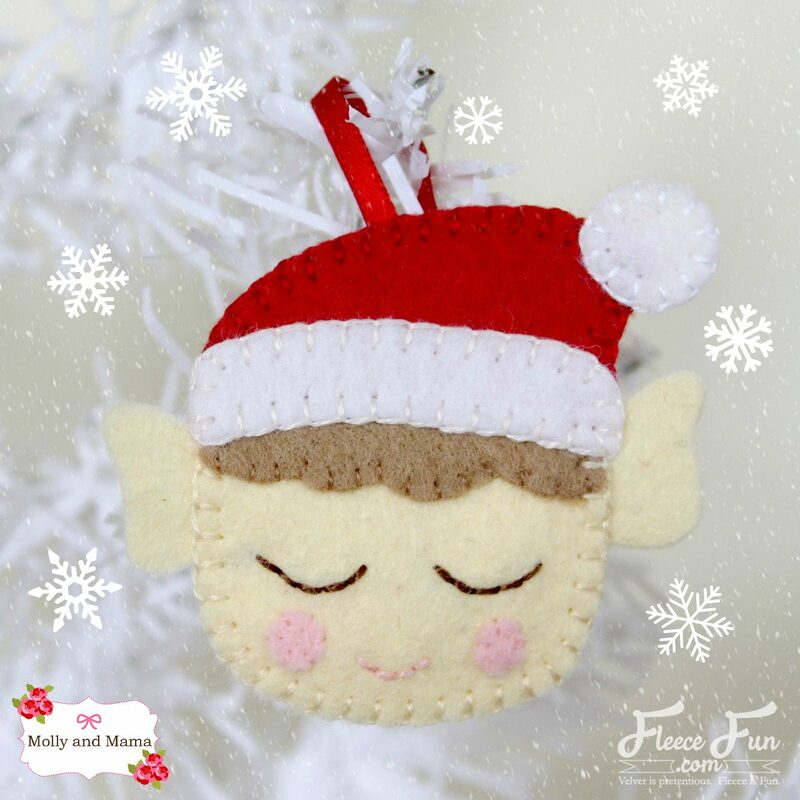 The latest little tutorial in the Molly and Mama collection is for this adorable FELT ELF! 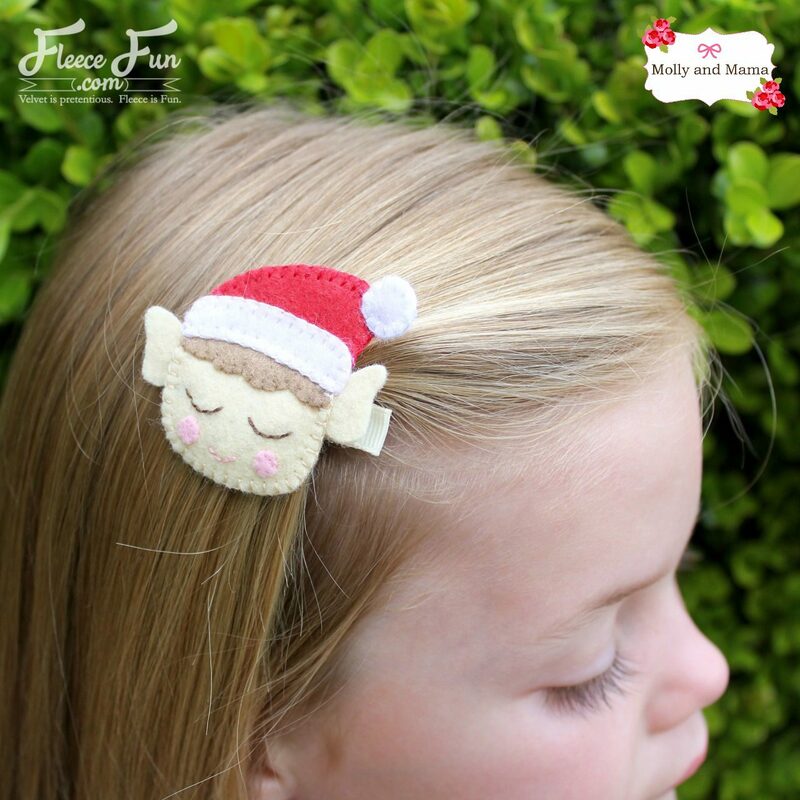 Head to Fleece Fun for step by step instructions, lots of images, tips and tricks, and ideas for your using your elf. At 2″ x 2.5″, Mr Elf the perfect size for a hanging ornament. But he’s also super cute as a hair accessory. So I’ve included instructions for adding an alligator hair clip to the back too. What a sweet way to jazz up a Christmas outfit! What other ways will you use the Mr Elf? I’ve seen him appliquéd onto a gift tag, made into a hoop art project and also used as a template for paper craft. I’d love to see what you create with this cute little tutorial, so be sure to share! Head to the Molly and Mama Facebook page to post your images, or tag @mollyandmama on Instagram. If you’re after more Christmas craft ideas and free tutorials, be sure to head to the Tutorials Tab. There’s lots of inspiration to get you stitching. And all the tutorials are PERFECT FOR BEGINNERS! Thanks for being here. I hope you find some Christmas inspiration and enjoy stitching this holiday season.